This is our large painted wooden wood name décor piece. 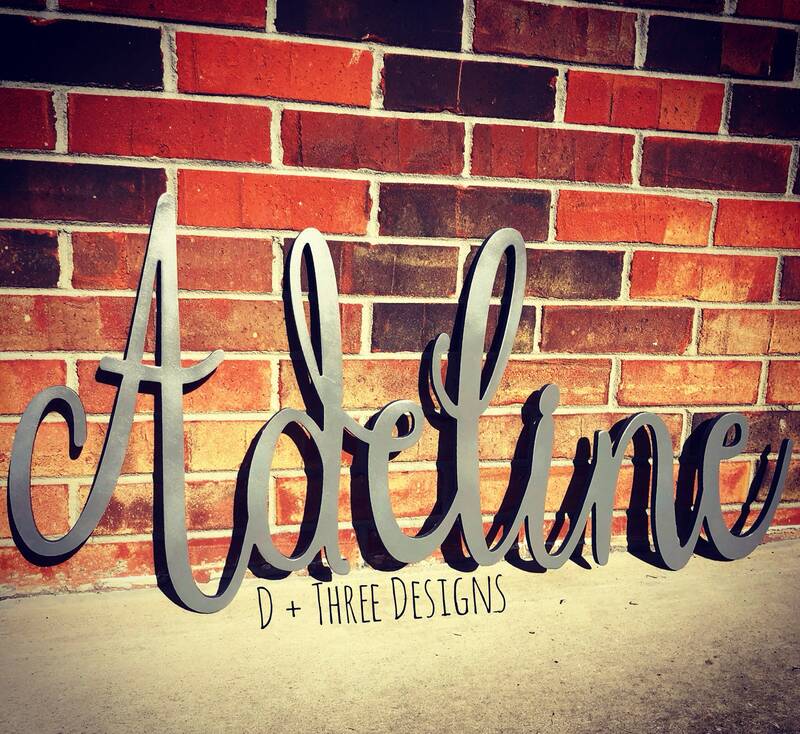 It is the perfect personalized décor item for any baby room, child's room, bedroom, front porch wall, etc.! Place it over the crib or bed to create a truly custom look! You pick the font and color. We have hundreds of font options and lots of paint choices (see the paint chart in the photos within the listing). Please put the name and color number in the "notes to seller" box. Your name will be 16" tall, cut from 1/2" birch wood, and comes sanded and painted. The length will be created proportional to the height up to 36" wide. This design is elegant and classy. It’s a nice touch to your home décor, nursery, or for wedding décor. These also make GREAT gift for all occasions -- weddings, baby showers, graduations, and housewarmings.